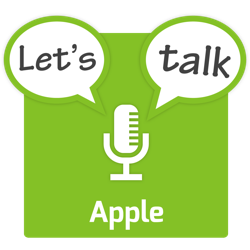 The show starts with a few quick follow up stories, followed by some Apple HR news that broke in November. The three main stories for the month are some repairability trade-offs introduced by the advanced security provided by Apple’s new T2 chip, oral arguments in US Supreme Court case regarding a class action anti-trust case brought against Apple regarding the App Store, and Apple’s new relationship with Amazon. The show finishes with a quick rundown of some smaller Apple-related stories that made the news in November. You’ll find detailed show notes below the fold, and if you enjoy this free show, please consider clicking on the donate button at the top of the left side bar – the show is free for you to listen to, but not for Bart to Produce! The US Supreme Court heard oral arguments in a case testing whether or not App Store customers have standing to sue Apple over allegations that its app store is anti-competitive. In the lower courts, Apple succeeded in arguing that the class action suit should not be permitted to continue. Apple’s arguments include the fact that it does not set app prices, developers do, and developers are free to set low or high prices, right down to free. Apple used a 1977 supreme court decision (Illinois Brick Co. v. Illinois) which found that only consumers who are direct purchasers of a product can bring an anti-trust lawsuit, and when it. comes to the App store that’s the developers, not iOS and Mac users, they are buying apps from developers, not from Apple. Should Apple lose the case, the result would be that an anti-trust trial could start.